No need to wait for Black Friday or Cyber Monday Sale. If you are planning to start your own dream website, then this is the right time and best deal to save big bucks. 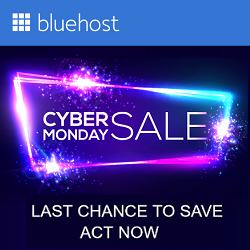 BlueHost is celebrating 15th birthday and giving the biggest birthday party of the year. 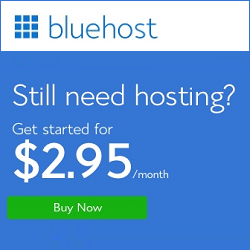 You will get basic hosting plan at $2.65/mo with 36 months package. The deal will be LIVE for 2 days only. Start your journey today, Tomorrow never comes. 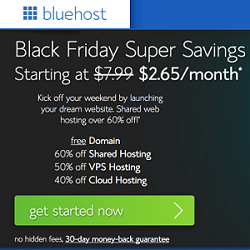 You will get following features with BlueHost basic shared hosting plan. You can host 1 website. 50GB Space which is more than enough.